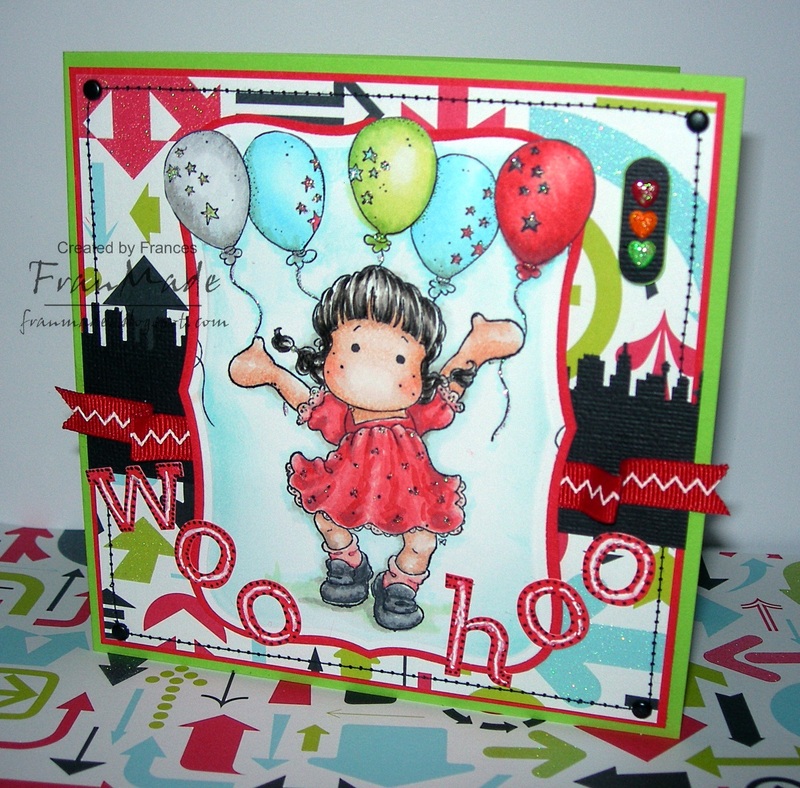 Had to use one of the new Tilda's I got and stamped her with the balloons behind her. Coloured with Copics as per usual and added bit of background colour by sponging some distress ink around the edge too. Used nestie to cut out image and added black cityline border with a MS punch. Bit of ribbon, alpha stickers, stitching, brads and stickles to finish. Do you like my little traffic light embellishment I made using some heart brads and punched out bit of cardstock (SU Word punch shortened). 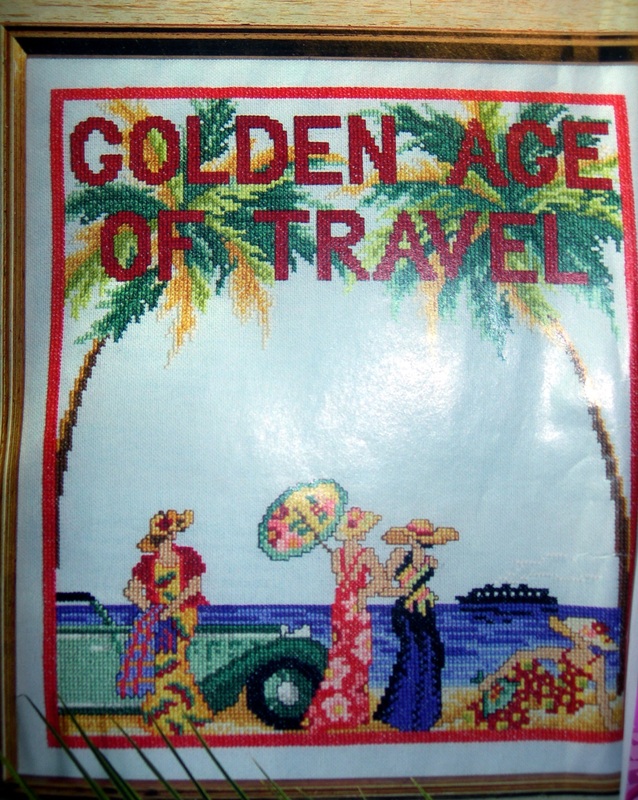 As the old card mojo's been on the wane lately I had a look through some of my other crafts/stash and decided to do something about the magazine mountain I have of cross stitch magazines. Had hundreds of them stacked in my garage from when my sister got me into cross stitching when I first moved back up north and all my card making stuff was packed away and the stamping mojo was at a low ebb so I was easily led LOL. 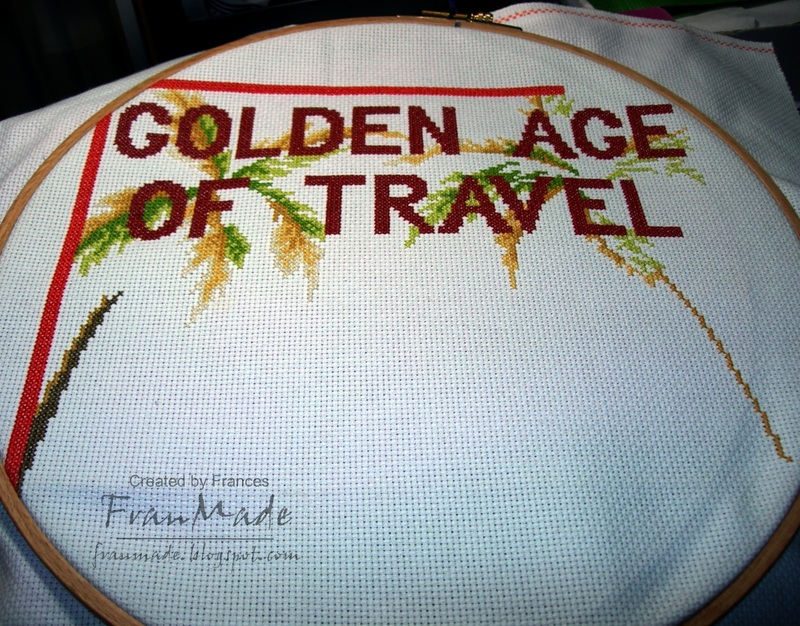 As with all my crafting urges once I start, I keep seeing things I have to 'have' and not only did I build up huge stash of mags I also managed to collect a rather large collection of cross stitch kits, of which I have started on 1! (more on that later) So anyway, 6 years on I finally took the plunge and went through all the mags and ripped out the charts I wanted and binned the rest. So now I have a full lever arch file and couple of folders full of charts I like (but no doubt will never actually use :D). Going through them has made me realise how interconnected all these crafts are. I have loads of cute cross stitch charts of hedgies and mice and cats by Margaret Sherry (and they are the same looking images as the older PB stamps so assume they are by the same artist) and also came across a couple of charts by Tina Wenke (some of which I'm sure have just been released as rubber stamps). So, back to the kit I started. 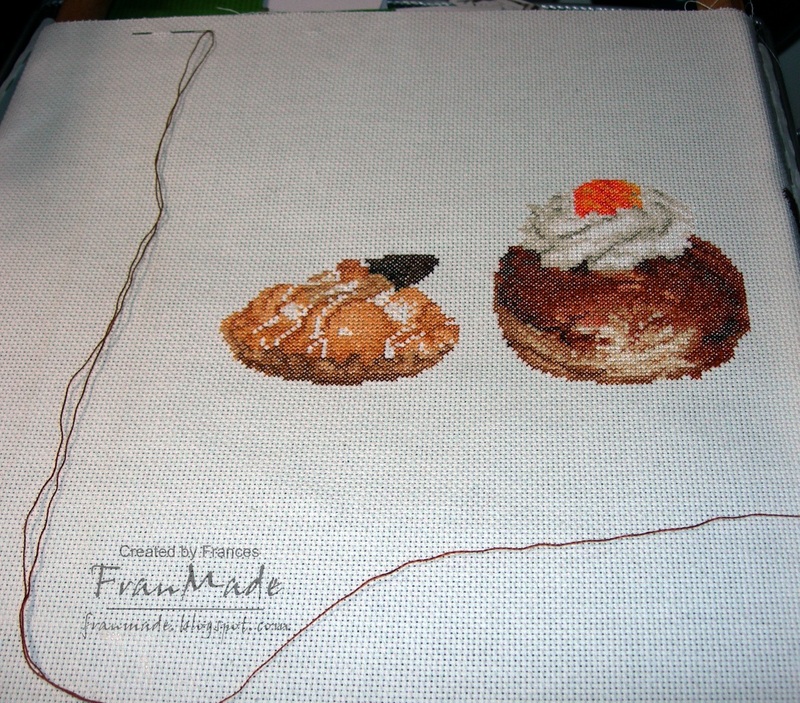 I fell in love with it and the intention was to finish it and frame it to put up in my kitchen. Alas, it is still a UFO (UnfFinished Object) 6 years on. So I have decided to document it on my blog and hopefully urge myself on to finish it. I was a bit ambitious as it's an 18count kit so loads of colour changes and pretty intricate for my first attempt at cross stitch but I do love the look of it. So here's what I've done so far . .
2 yummy looking if rather stale and grubby looking cakes LOL. and here is the photo of what the finished piece should look like . .
Then there's one more UFO I found and that was from a chart in a mag which I liked the look of. This one is 14 count so I should finish this quicker if I put my mind to it. Here's what I've done so far . . .
and here's picture of what it should look like when completed. Very Agatha Christie/poirot looking which really grabbed me at the time but not so much now but I'm determined to finish it non the less.